Welcome to the Wellness One-oh-Ones, a digital encyclopedia for all your wellness needs. This series is geared to tackle those everyday questions you secretly ask yourself in wonderment when you hear about a new trend. 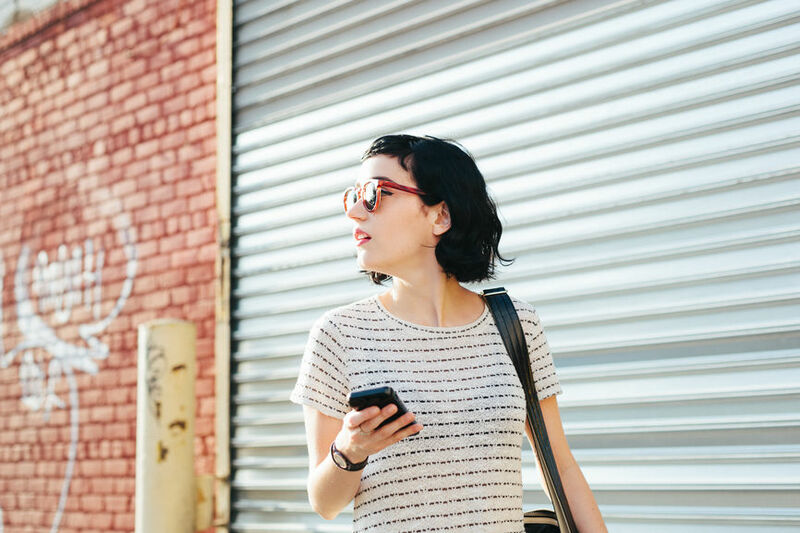 Instead of pretending to know what people are talking about, come hang with us as we uncover the latest and greatest in the wellness industry. Check back Wednesday once a month to pick up your refill — no doctor’s signature required. Walk down the vitamin and supplement aisle and you’ll most likely find a rainbow-colored selection of health-centric bottles. They all claim to make you feel better, take away any ailments you may have, or even ease a hangover you so conveniently received after a night of one too many drinks. But unlike vitamins, probiotics and prebiotics are a different strain of breed (see what we did there?). They’re there to aid in your gut health (or gut flora) by providing nourishment to the good bacteria and building a healthy immune system. But what exactly is the difference between the two? So glad you asked. 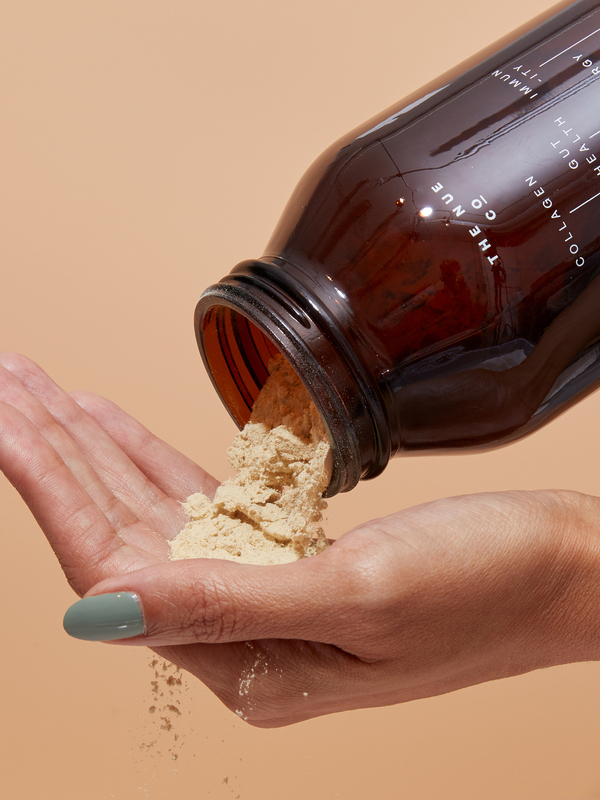 Our guts house good and bad forms of bacteria and when things become imbalanced, probiotics are there to help bring homeostasis back and better than ever. 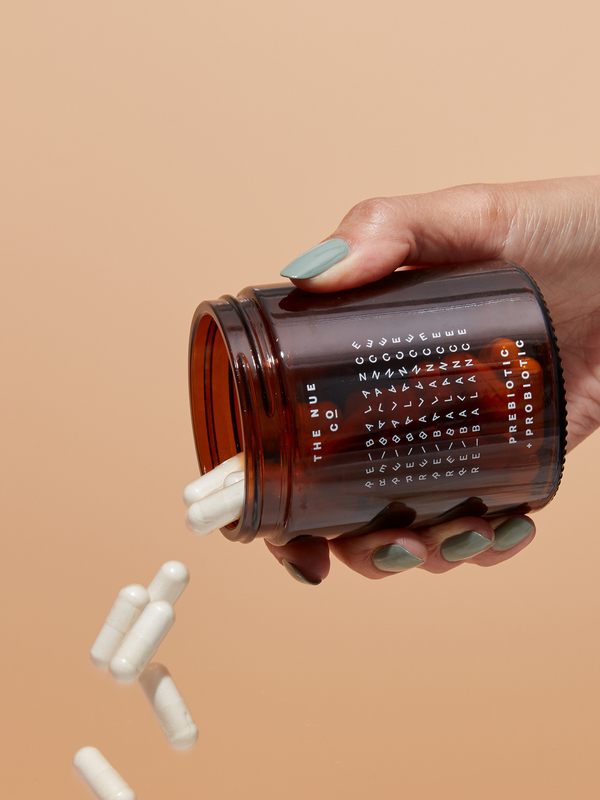 To put it simply, Healthline states that “probiotics are living microorganisms that, when ingested, provide numerous health benefits.” Each probiotic is made with different strains and aid in different ways. For instance, L. Acidophilus is best to help acne, vaginal health or reduce diarrhea while B. Longum is good for brain function and constipation. If you want the full guide of all the strains out there, HUM Nutrition has a great list you can use as a reference. How exactly do they work, though? When including a probiotic into your diet, you’re giving life and creating balance to the good bacteria that is already in your gut. Probiotics are there to replenish the good bacteria you might’ve lost when you took antibiotics or when your digestive system felt a little off. Whether you consume probiotic-rich foods like yogurt and kombucha or take it in a supplement form, it can help aid the food down into your gut, reduce stomach issues like diarrhea, promote digestive health, and even increase your vaginal health (yeast). When and how should you take them? The thing is, every body is different and it can be hard to determine exactly who needs to take them and who doesn’t. But if you’re thinking of incorporating a probiotic into your daily diet, you may want to stay away from taking them in the morning. According to Vitamin Shoppe, David Friedman, N.D., C.C.N., author of Food Sanity: How to Eat in a World of Fads and Fiction, claimed that taking the supplements in the morning are not optimal for the strains to grow and breed; they need a good foundation of food, water, and warmth to keep alive. Plus, your stomach can be more acidic in the morning, which doesn’t benefit anyone, and could prevent them from actually working. Ultimately, how you take it is contingent on the type of strains. Read the instructions on the bottle. Some need to be consumed with food while some don’t. At the end of the day, it’s best to consult with your doctor on what kind of strain of bacteria you should incorporate into your diet, if you even need to in the first place, and when you should take the supplements. As mentioned already, your doctor will be the best person to talk to about this, but if you happen to be at the store, like right now, Dr. Whitney Bowe, author of The Beauty of Dirty Skin stated in a Healthyish article, to begin with supplements that have 10 and 15 billion CFUs (colony-forming units) and that are with extended-release capsules. Oh, and if you’re still confused, the three brands she recommends to purchase are Culturelle, Align and Genuine Health. Prebiotics (short for prebiotic fiber) occur naturally in the non-digestible part of foods such as raw garlic, bananas, asparagus, onions, and more, and help provide nutrition to your colon cells and the good bacteria in your gut after bypassing your small intestines, basically acting like a fertilizer. You can buy prebiotics in the form of powders or capsules, it simply just depends on what you prefer. Prebiotics help probiotics to get things moving. According to Healthyish, Dr. Vincent Pedre, author of Happy Gut stated, “When prebiotics are fermented, they produce short-chain fatty acids like butyrate that help keep the colon healthy, maintain blood sugar balance, and even affect brain neuroplasticity.” The prebiotic breaks down and feeds the bacteria that’s in your stomach and the cells that line the intestinal track. If you’re thinking of incorporating a prebiotic into your diet, be mindful of the form you take them in. In an article from the Strategist, Bob Hutkins, a food scientist at the University of Nebraska, suggested to buy prebiotic capsules or powders that could easily blend into foods like smoothies, that’s labeled with inulin (derived from chicory) or FOS or GOS (fiber chemical compounds). 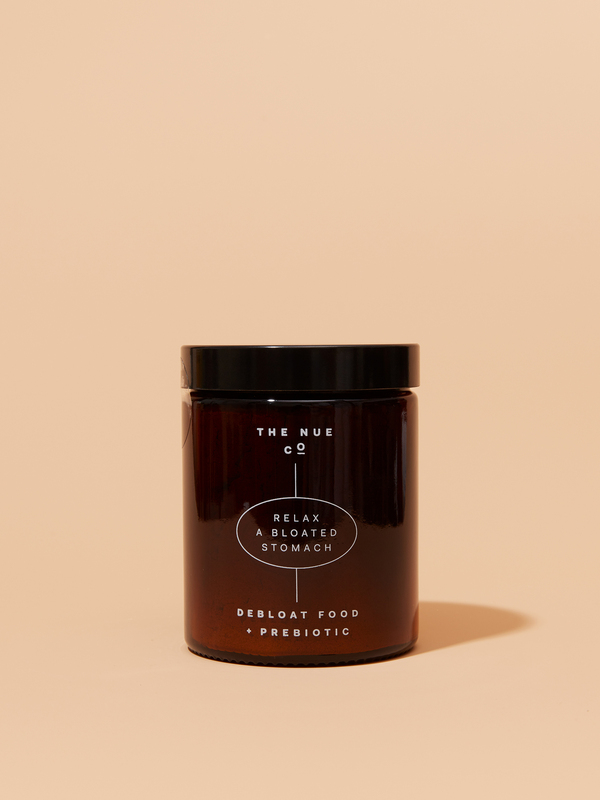 The Nue Co. is a great brand start with if you’re looking to enter into the prebiotic or even probiotic world because all of their ingredients derive from food. However, Seed is another great new brand that just hit the market that will give you that prebiotic-and-probiotic-symbiotic boost. 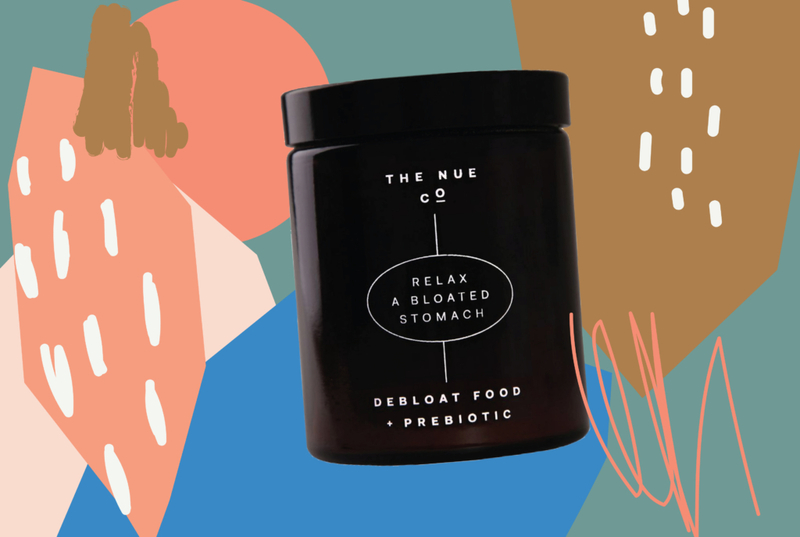 Debloat Food + Probiotic by The Nue Co.
Plant Protein + Gut Food by The Nue Co.